The bubble may have burst. The fan outcry against Hello Games’ No Man’s Sky has reached a fevered pitch, and it appears the negative feedback is having a disastrous impact on sales. According to GfK Chart-Track, the week two numbers for No Mans Sky physical sales have fallen 81 percent week over week in the United Kingdom – as in, it sold 81 percent fewer copies than it did the first week. Now, it should be noted that GfK Chart-Track only looks at physical sales in the United Kingdom. That said, the numbers in week two aren’t looking great for No Man’s Sky in any respect. On Steam, for example, where No Man’s Sky once topped out at more than 212,000 players, the title is now averaging below 30,000 players a day. In the wake of the indie game’s August 10 release, a segment of the gaming community has been extremely vocal about their displeasure. 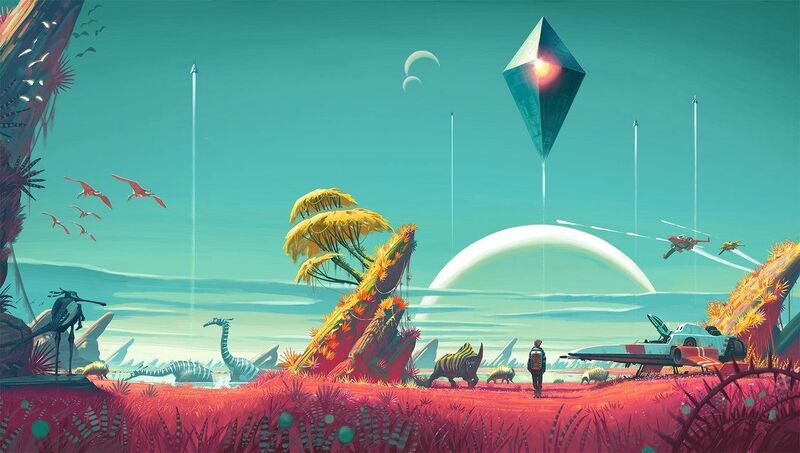 The most prevalent claim is that Hello Games lead developer, Sean Murray, made several claims about his exploration title that turned out to be erroneous. Ultimately, it’s unclear the impact these numbers will have financially for Hello Games. Poor sales certainly puts more pressure on the developer to make sure that future updates to the sprawling space epic are really, really interesting.